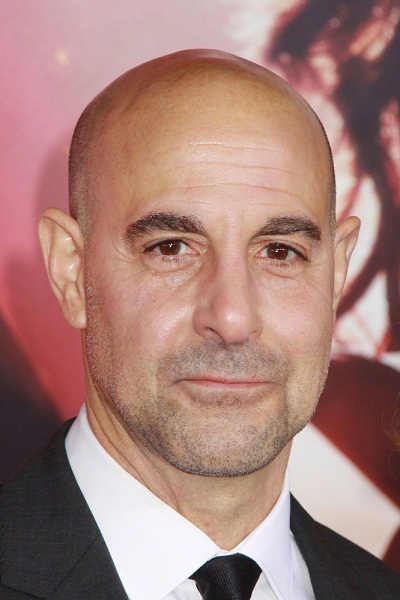 Place of Birth: Peekskill, New York, U.S.
Stanley Tucci is an American actor, writer, director, and producer. He received an Academy Award nomination for playing George Harvey in the film The Lovely Bones (2009). Stanley’s sister is actress Christine Tucci and his cousin is screenwriter Joseph Tropiano. Stanley is married to literary agent Felicity Blunt, a sister of actress Emily Blunt. The couple has a son. Stanley also has three children with his late wife, social worker Kathryn Spath-Tucci. He is of Italian descent on both sides of his family, generally in Calabria. Stanley’s paternal grandfather was Lorenzo Stanislao “Stanley” Tucci (the son of Francesco Scarpellino Tucci and Rosa Rosario Calabrese). Lorenzo was from Marzi, Province of Cosenza, Calabria, Italy. Francesco was the son of Angelo Gabriele Sarto Tucci and Aloisia Luisa. Stanley’s paternal grandmother was Anna Teresa Pisani (the daughter of Domenico/Dominick Pisani and Appolonia/Apollonia Politi). Anna was Italian. Her parents were from Serra San Bruno, Province of Vibo Valentia, Calabria. Appolonia was the daughter of Domenico Politi and Maria Giuseppa Timpano. Stanley’s maternal grandparents were Vincenzo Tropiano and Concetta Trimarchi (the daughter of Guiseppi Trimarchi and Angela Albanese). Vincenzo and Concetta were from Cittanova, Province of Reggio Calabria. That guy had 3 kids with white woman and after her death he married another white woman and had a kid with her as well. Is it wrong that i find that disgusting? Stanley Tucci has become the poster boy for interracial marriage in the U.S. No one has benefitted from Loving v. Virginia more than he has.